Interest in the refinery by-product vacuum gasoil (VGO) is increasing as analysts ponder the impact of IMO 2020 on VGO and related refined oil products. Demand for VGO will increase as refiners reconfigure their plants to meet new demand for low sulfur bunker fuels from shipping. The question outstanding is the size of the uptick in VGO demand. 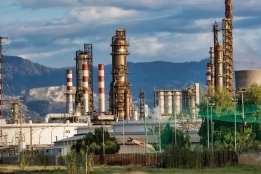 According to a survey of analyst opinioin from business news provider Bloomberg, refiners will be looking at a complicated set of moving prices all influenced by each other when trying to decide what's most economical. "The whole pricing regime is going to be massively volatile," Alan Gelder, vice president for refining, chemicals and oil markets at Wood Mackenzie, is quoted as saying in the report. "You're altering the balances of gasoline, diesel and very low-sulfur fuel oil, all of which are competing in different sectors, and how they price alters the value of VGO, it alters crude differentials…the lot." But if OPEC production cuts materialise, the effect could be to lighten the crude slate giving refiners little choice over how much gasoline they produce. "The additions we see coming into the global crude slate are predominantly light – including the large upticks in US supply," Eugene Lindell at JBC Energy is quoted saying. For FGE analyst Steve Sawyer, the market could see less gasoline production because diesel-like fuels will be one of the main options for complying with IMO 2020 and plants will likely maximize their yields of that sort of fuel, thereby making less gasoline.